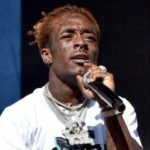 American rapper, Lil Uzivert releases a video of himself dancing to Davido’s “Fall” in the United States. 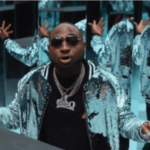 Since Davido’s 2017 hit single; “Fall” became a hit in the United States of America, everyone including citizens and artistes have been seen at one point or the other vibing gracefully to the song. 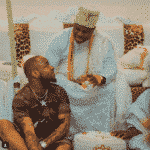 The likes of Tory Lanez, Busta Rhymes and Prayyah have been seen vibing to the song. The latest music personality seen vibing and showing some sleek moves to the song is Lil Uzivert. 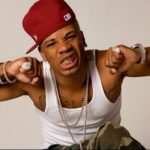 The rapper is seen on a street in America showing some Michael Jackson-like move to the song as well as doing some freestyle. 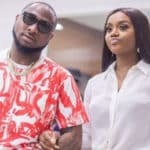 A remix has already been done to the song by Busta Rhymes & Prayyah, but Davido still maintains that’s not the remix he wants as a “big” remix is coming soon. Many music fans have suggested the remix he is talking about his with J.Cole but he has dismissed the suggestion as he revealed he already has a song with J.Cole which is not “Fall” Remix.